Danish vintage Kvadrille sconce by Bent Karlby for Lyfa. Announcement Welcome to Deerstedts universe of the best mid-century modern space age designs! We handpick all our items for you and if you have a specific request we will gladly go on a treasure hunt and bring you the sought after piece. We look forward to fulfilling your design dreams! Don't hesitate to contact us. Welcome to Deerstedts universe of the best mid-century modern space age designs! We handpick all our items for you and if you have a specific request we will gladly go on a treasure hunt and bring you the sought after piece. Rare Dano Rectangular ceiling light by Jo Hammerborg for Fog & Morup, Denmark 1963. Classic Pinocchio table or wall light by H. Busquet for Hala, Holland 1950s. Cool 1970s Blessing analoque space age clock made in Germany. Giant copper ceiling light by Kastholm & Fabricius for Nordisk Solar, Denmark 1964. Classic danish brass ceiling light made in the 1970s. Legendary PH5 ceiling light by Poul Henningsen for Louis Poulsen, Denmark 1970s. Beautil handmade bohemian ceramic ceiling light from the 1970s. Beautiful bohemian ceramic ceiling light made in West Germany 1970s. Beautiful and rare brass ceiling light by Bent Karlby, Denmark 1960s. Salt, pepper and sugar glass shaker set by Michael Bang for Holmegaard, Denmark 1970s. Beautiful Guzzini mushroom ceiling light made in 1970s. Classic danish white lacquered ceiling light by Form-Light, Denmark 1970s. 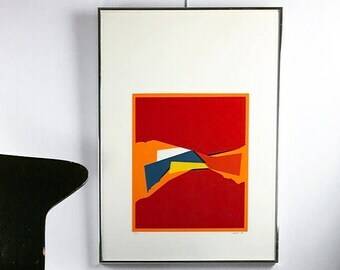 Multicolored large ceiling light by Hans Agne Jakobsson, Sweden 1970s. Super rare Carl Thore ceiling light by Granhaga Metalindustri, Sweden 1960s. Dark green glass sconce or table light Epoke I by Michael Bang for Holmegaard, Denmark 1976. Classic danish ceiling light by Erik Balslev for Fog & Morup, Denmark 1960s. Beautiful swedish space age brass ceiling by Carl Thore for Granhaga Metalindustri, Sweden 1960s. 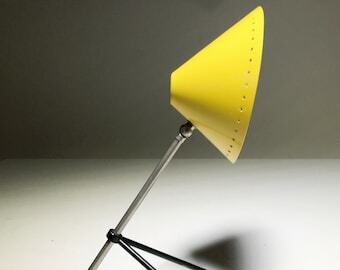 Super rare space age swing arm desk lamp made by AEG, germany 1970s. Space age glass table lamp or wall light Epoke I by Michael Bang for Holmegaard, Denmark 1976. Verner Panton Spy wall light for VerPan, Denmark. Classic mid century Trava ceiling light by Carl Thore for Granhaga Metalindustri, Sweden 1960s. Classic danish mid century ceiling light by Lyskaer, Denmark 1960s. 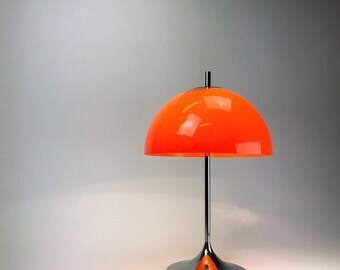 Beautiful and rare large space age orange ceiling light made in Sweden 1970s. Iconic Eclisse table or wall light by Vico Magistretti for Artemide, Italy 1965. Seiko space age flip clock made in Japan 1970s. The company did not create an accurate shipping label and therefore my package had major delivery complications. It is very important to provide the right address to us when making your order. As we print the shipping label directly from the order given to us. Unfortunately the buyer didn´t give us the right address but wrote us a mail with a new address. We contacted our carrier who tried to re-direct the parcel, however the parcel was already delivered to the first given address (an apartment in the same building). To avoid complications like this it is utmost important to provide the correct address. Beautiful bohemian Rya rug made in Denmark 1970s. Truly beautiful classic Nordic Table lamp! Carl shipped quickly, packed very well, and as expected. A little modification to use in US which was to be expected and no big deal. The lamp is gorgeous! I wouldn't hesitate to purchase again! Thank you, Carl! Beautiful classic nordic table light by Anders Pehrson for Atelje Lyktan, Sweden 1971. Every week we add new amazing mid century modern items to our shop - if you want to see the news check Instagram too. We love good design with great craftmanship and details as Eames: The details are not the details. They make the design! Carl is passionated treasure hunter, a talented handyman and has a big heart for vintage and retro furniture, accessories and lamps. He loves to restore and upcycle items and design new. His speciality is the stilnovo, bauhaus and space age era. Deerstedt is a collaboration of passionated people who spend most of their time treasure hunting for wonderful mid-century european and scandinavian vintage and retro lamps. If you have a special requiery don't hesitate to contact Deerstedt - we will do our best to find the item. We hope you enjoy our shop and that you will be visiting soon again. Deerstedt sell retro and vintage items that have been used and therefore the items have normal wear. We always take pictures and describe the condition of the items but please feel free to ask for more pictures or info. Should you regret your order please don't hesitate to contact us so that we can figure something out. Contact us in case you have questions regarding your order. If you want to return the item you have to wrap it as carefully as we do and ship it back to us in the same box. You pay the shipping costs. We accept all major credit and debit cards, Paypal and Etsy gift card - it is an easy and secure way for you as a customer and for us as a shop. All our items are carefully wrapped in bubble plastic to prevent any scratches or dents. 1. The cardboard box - we always use double cardboard boxes and sometimes triple cardboard. 2. The box is then filled with styrofoam chips. 3. At last, the package is then wrapped with 2-3 layers of stretch foil to prevent fluid to damage the box and its content. It is very important for us, that the packaging has the same high-quality standard as the purchased item. We aim to give you the best service, yet when it comes to shipment, Deerstedt can't be held responsible for the delivery time. We ship our items by Post Nord, UPS, and GLS from Denmark. WE NEED YOUR TELEPHONE NUMBER FOR THE CARRIER! If you should receive a package that shows damage please either deny to accept the item or have the deliveryman to sign that there is damage to the box. Then contact us and send us pictures showing the damage. Deerstedt cannot be held responsible for any extra costs due to custom/taxes in the country of the buyer. It is the buyer who is held responsible. It is the responsability of the buyer to research and confirm that your items are suitable for customs in their destination country. To fulfill your order, you must provide us with certain information (which you authorized Etsy to provide to us), such as your name, email address, postal address, payment information, and the details of the product that you’re ordering. You may also choose to provide us with additional personal information (for a custom order for example), if you contact us directly. Change, restrict, delete. You may also have rights to change, restrict our use of, or delete your personal information. Absent exceptional circumstances (like where we were required to store data for legal reasons) we will generally delete your personal information upon request. Deerstedt can not be held responsible for the how the lamps are mounted on the ceiling or if they require additional parts. Installation varies from country to country and installation and possible enhancement is the buyer's responsibility. All our lamps have been tested and are fully working unless anything else is written by the specific lamp. The bulbs required are standard bulbs - unless anything else mentioned. A E27 Edison screw bulb is equivalent to a E26 bulb. A E14 screw bulb is equivalent til a E12 bulb. The wiring fits 110/220 Volt. All your items will be shipped by DHL / Deutsche Post. If you require a fast delivery 2-7 days delivery outside the EU please send us a message and we'll give a costum price. Shipments will be handled by UPS or equivalent company. Third and additional items are free of charge. All our lighting comes without bulbs. See the required bulb size in the listing. Standard size bulbs in Europe is E27 and in US it is E26. All our fixtures are suited for 230V and 110V - they will be ready for hardwiring in the US. All our ceiling lights are for hardwiring. We recommend that your proffesional electrician installs. For table as well as some wall sconces you may need either to replace the plug or buy an adapter. When you purchase an item in our shop you will receive a tracking number when the order has been handed over to the carrier. In the top right corner of the order, you'll see a box with its shipping status. We add a tracking number, and you'll see a Track Package button. If the package has been shipped using a shipping carrier that Etsy supports tracking for, click the button to see an overlay with all current tracking events. You will also receive a notice with the tracking information. Normally we use DHL - you have to use the german site www.dhl.de to track the parcel. On the DHL site you will see the name of the carrier in your country. For US customers it is USPS. We do provide wholesale and are working closely together with shops and interior decoraters all over the world. If you are interested in a cooperation, please don't hesitate to contact us for further information. Ceiling plates or canopies are not included in the price of the ceiling light but can be bought together with your chosen item. You can choose between a black or white cone shaped canopy and the additional costs is 12€. Please let us know before you purchase and we´ll include it in the full amount. If you want us to change the cord because of either the special lenght or color please let us know before purchase.